Takikomigohan is rice steamed with different ingredients. It can be as simple as green peas or as complicated as several different ingredients such as a gomokugohan. Gomokugohan would have five different ingredients in the rice pot with the rice like chicken, carrots, shiitake mushrooms, hijiki, and gobo, for example. The rice is steamed with water, sake, mirin, and soy sauce. Spring Vegetables Steeped in Dashi (Ohit.. Steamed Rice with Chicken and Vegetables..
Pork Ginger is also one of popular dishes in Japan. Shoga means ginger in Japanese and Pork slices are marinated in ginger-flavored sauce and stir-fried. Futomaki (太巻, lit. thick, large or fat rolls). A large cylindrical piece, with nori on the outside. A typical futomaki is three or four centimeters (1.5 in) in diameter. They are often made with two or three fillings that are chosen for their complementary tastes and colors. Ohitashi is a method of steeping vegetables in a delicate dashi, which infuses ingredients with umami and lovely flavor but retains the food's natural taste and sensibility. The trick is to first blanch and shock the vegetables (quickly boiling in water, "blanching," then halting the cooking by plunging in ice-water, a.k.a. "shocking"). By partially cooking this way, you transform ingredients from the raw state, but still retain their integrity, and allow them to absorb the dashi. Steamed rice is traditionally prepared in one of two ways. Actual steaming is done by placing a bowl or pot containing dry rice into a food steamer, and cooking it until done. 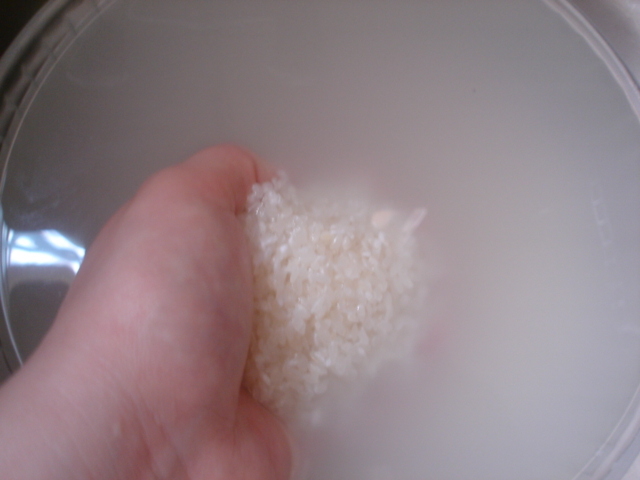 Steamed rice is normally cooked by adding dry rice and a small amount of salt to water and boiling it in a covered pot. Today, most rice is prepared in electric rice cookers, that work the same way. "Kaisen" means very fresh seafood. This dish is gorgeous meal. Various "Sashimi(raw fish)" are placed on the rice. So freshness of ingredients is the most important. But when you have an opportunity to go to Japan, it is worth to try them. Here in Japan, we ahve many kinds of Noodle Recipes. "Fried Noodles with Pork and Vegetables" is also one of the popular noodle recipes. Potato salad is a dish made from potatoes, the versions of which vary throughout different regions and countries of the world. Although called a salad, it is generally considered a side dish, as it generally accompanies the main course. And here in Japan, it's also very popular as one of Japanese Dishes. Takenoko or bamboo shoot is a quintessential harbinger of spring in Japan. There are many kinds of takenoko recipes, that is to say, takenoko rice, takenoko in stir-fries, and much more. As a change of pace from all the traditional takenoko dishes, taking up herewith very creamy, subtle soup that was a big hit. The gentle flavor of the takenoko comes through very well, and it’s a great way to use up bits of the shoots that aren’t as good looking, like the heel. And the creaminess is not derived from a flour-based roux (it’s thickened with cooked rice), so this soup is gluten-free. 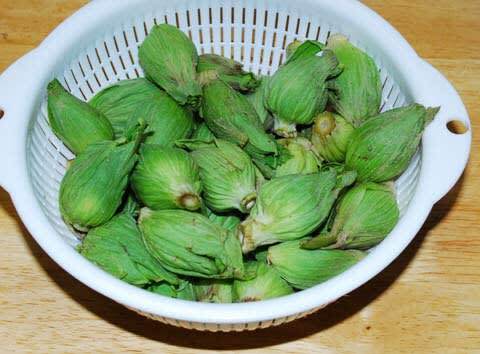 There are over 200 varieties of sansai, the mountain vegetables that spring forth from the ground in the spring. When sansai arrive at the market, you can overhear customers talk about the arrival of spring. It is served many ways including ohitashi (simmered), sunomono (vinegared), tempura, aemono (dressed with a sauce), and kinpira (julienned and stir-fried). Over a bowl of soba noodles the bitterness of the sansai is a nice contrast to the earthy buckwheat noodles. There is something special about the bitter vegetables when served up in tempura. It is the most common type of poultry in the world, and is prepared as food in a wide variety of ways, varying by region and culture. In Japan, it's also the same. Kushikatsu (串カツ) is a Japanese-style of deep-fried kebab. In Japanese, kushi (串) refers to the skewers used while katsu means a deep-fried cutlet of meat. Kushikatsu can be made with chicken, pork, seafood, and seasonal vegetables. These are skewered on bamboo kushi; dipped in egg, flour, and panko; and deep-fried in vegetable oil. They may be served straight or with tonkatsu sauce. Tofu in Japan is a revelation. Not at all like what is found in the U.S.A. but a wide variety of textures, tastes, sizes, and shapes. We always have tofu in our fridge. It can be added to miso soup, top a salad, or served as it is with a simple topping. A nice contrast to always having white rice is to steam some vegetables in the rice pot when cooking rice. Fava beans are placed on top of uncooked rice and the rice is cooked as usual. This same dish is also nice with green peas. Nuka pickles are relatively easy to make and result in a unique pungent earthiness. 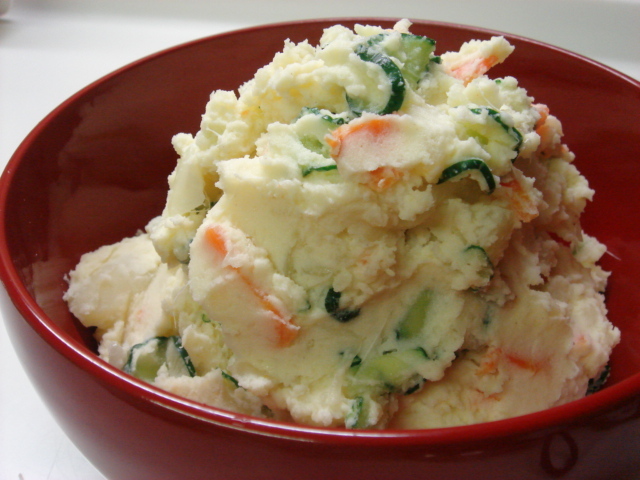 The key to a successful nuka pot is that the mash needs to be mixed up daily. If left ignored it will begin to mold. Salmonidae is a family of ray-finned fish, the only living family currently placed in the order Salmoniformes. It includes salmon, trout, chars, freshwater whitefishes and graylings. The Atlantic salmon and trout of genus Salmo give the family and order their names. We, Japanese, also use Salmon in many kids of Japanese Cuisne. Tofu or bean curd is a food made by coagulating soy milk and then pressing the resulting curds into soft white blocks. It is of Chinese origin, and it is also a part of East Asian and Southeast Asian cuisine such as Chinese, Japanese, Korean, Indonesian, Vietnamese, and others. The daikon tenderizes the pork as it cooks, while the pork flavors the daikon, so both ingredients turn out super delicious. Also, this is a dish you want to cook the night before, keep in the fridge and then reheat. Like a great stew, waiting a day will give the flavors extra time to leisurely mingle and deepen. Grains of rice need to absorb just the right amount of moisture before cooking so they can steam properly (humidity is how heat travels in foods) -- so washing the rice is key. 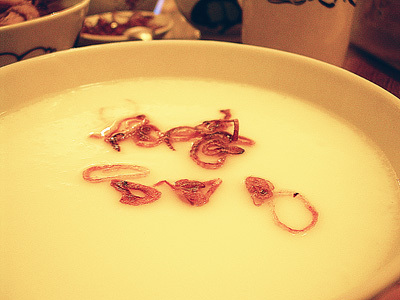 Egg Custard Soup comes from Asian cuisine and it is eaten as an Appetizer. 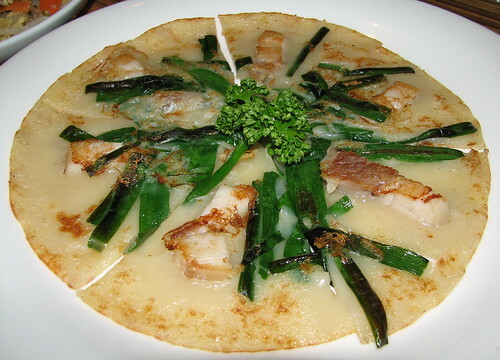 Of course, we are cooking this type of dish here in Japan. You will fall head over heels in love with this easy and delectable Egg Custard Soup recipe as soon as you try it! Tonkatsu (豚カツ, とんかつ, or トンカツ, pork cutlet), invented in the late 19th century, is a popular dish in Japan. It consists of a breaded, deep-fried pork cutlet one to two centimeters thick and sliced into bite-sized pieces, generally served with shredded cabbage and/or miso soup. Either a pork fillet (ヒレ, hire) or pork loin (ロース, rōsu) cut may be used; the meat is usually salted, peppered, dredged lightly in flour, dipped into beaten egg and then coated with panko (breadcrumbs) before being deep fried. Osekihan (お赤飯) means "red rice" (actually, 'honorable red rice' would be a literal translation, since the o makes it honorable). It's a holiday or special occasion dish in Japan, mainly because of its red (actually a very pleasing purplish-brown) color and the azuki beans in it (Beans are a symbol of good luck and fertility). It can be eaten at any time though. Sweet rice is otherwise known as sticky rice, glutinous rice, or short grain rice. The Japanese characters usually used on packages are もち米 - mochigome or mochimai (mochi rice). Mochi is a very sticky gluey substance made by pounding the sweet rice. It is not the same as regular Japanese style rice (　うるち米 - uruchimai), which is also sometimes called short grain rice. It might be more accurate to call that kind of rice medium-grain rice; it's the same kind of rice in many ways as rices such as arborio and vialone. Amazake is consumed during the cold winter months - it’s thought to help ward off colds - and is a traditional part of the Girl’s Day Festival on March 3rd. Amazake is usually made from koji, steamed rice with sake-making spores, but using sakekasu is a lot easier and foolproof, if slightly higher in alcohol.